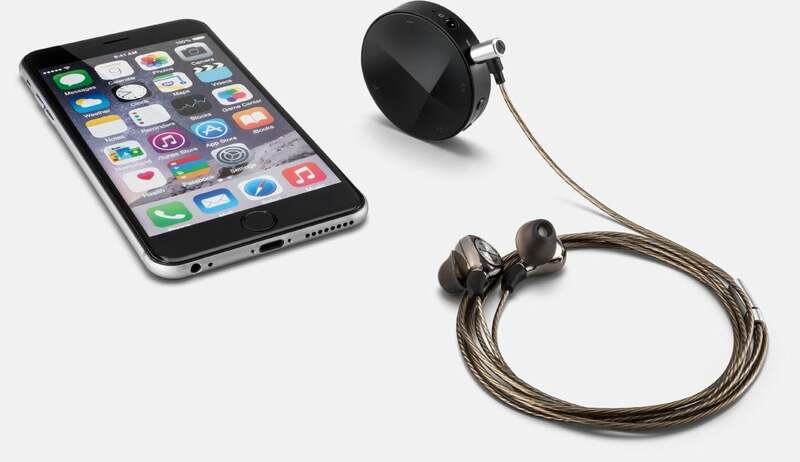 You don't need new headphones to benefit from Qualcomm's aptX HD codec. Anyone who’s invested in great-sounding wired headphones and wants the opportunity to add high-res streaming capabilities to those cans should take a serious look at Astell&Kern’s AK XB10 Bluetooth DAC and headphone amp. 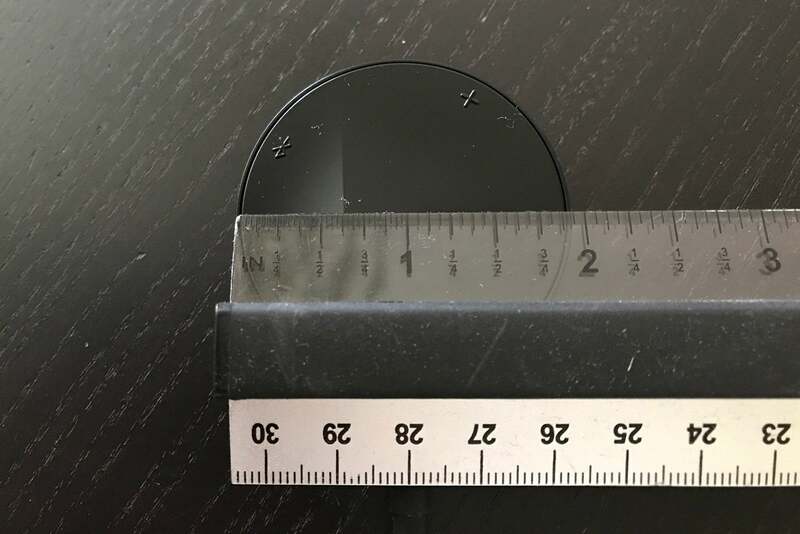 The AK XB10 comes in the shape of a small puck, measuring just shy of 2 inches in diameter. The DAC is rated for about five hours of active use and 300 hours of standby. The five-hour run-time is a disappointment. In today’s day and competitive landscape, users expect more out from their portable devices. Battery life is an area I hope Astell&Kern can address in a revised model. The Astell&Kern AK XB10 is small, light, and pocket-sized. 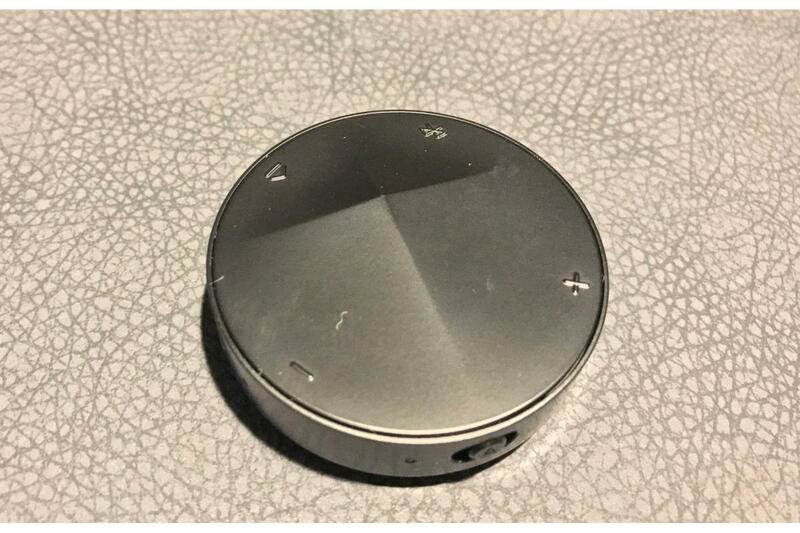 The circular face sports volume, play/pause, and Bluetooth buttons divided by a slightly elevated pyramidal protrusion. I inferred that the protrusion is there to help you orient yourself since you don’t have any idea what’s up or down. On the AK XB10’s perimeter you’ll find 3.5mm unbalanced and 2.5mm balanced headphone inputs, a microUSB charging port, previous/next buttons, power, and a lock button. When engaged, the lock button will deactivate the functions of all controls, so you can slide the AK XB10 into a pocket without the unit going haywire. In practical use, I really liked the size of the AK XB10, but I would have preferred a different shape that gave me a better way to orient myself with the unit; nevertheless, since the location of the 3.5mm input is at the six-o’clock orientation, I used that to get my bearings and it worked pretty well. If you use the 2.5mm balanced input, it throws things off slightly and sits at the 7-o’clock orientation. Either way, the play/pause button sits perfectly where your thumb rests and sliding your finger along the pyramidal sides, you quickly figure out where you are on the circular face. You can attach the optional metal belt clip to the unit’s back. Each time you press the volume-up or -down buttons, you’ll hear a beep confirming your selection. Personally speaking, I wish this sound was removed. I found that it got in the way of my music listening. If I want to adjust the volume, I don’t want my music interrupted in the process. There’s an optional metal clip included so you can clip the AK XB10 to your belt or attach it to your clothing. 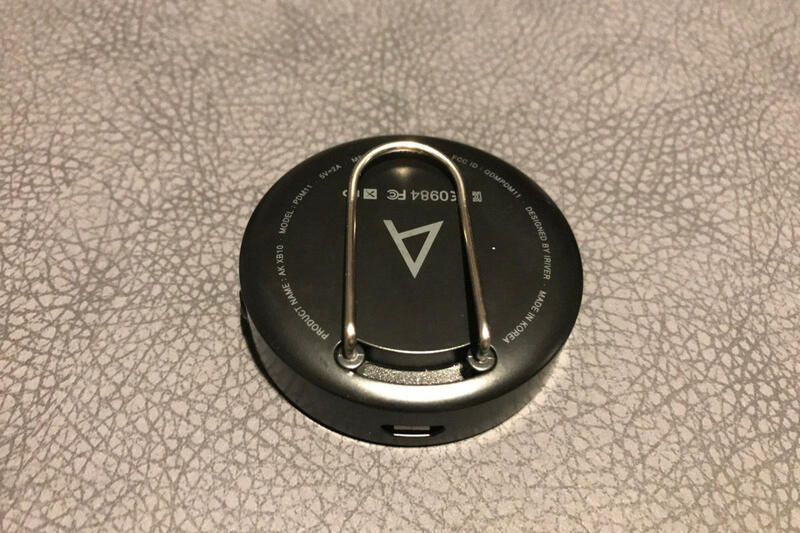 The clip slides into a recessed track on the back of the device. To attach the clip, you press both arms to the middle and slide the small, oval gliders into the track. 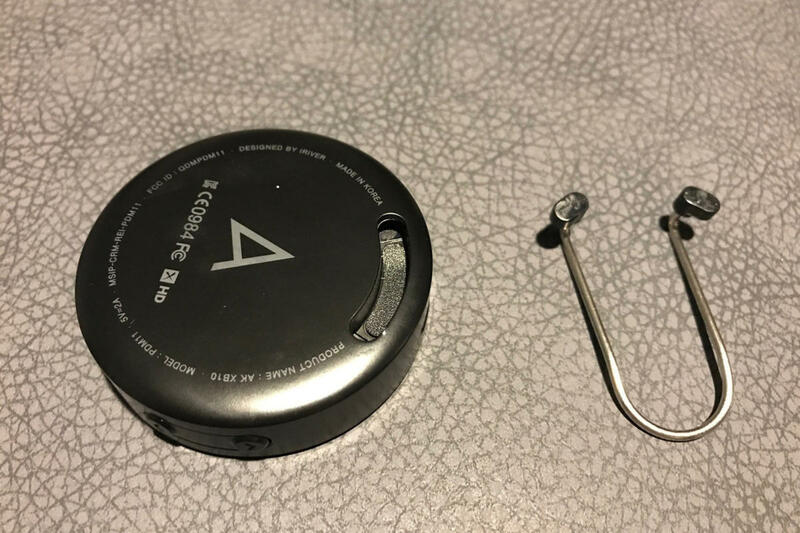 I was really impressed with the design with one observation: The clip would be far more effective if it had a rubber coating to prevent it from slipping off. As it stands, it’s too slippery for certain situations. If you clip it to a pocket or clothing, it will slide around easily, potentially falling off. I also had to exert some effort getting it to fit over thick belts. The AK XB10 fit nicely onto my belt. 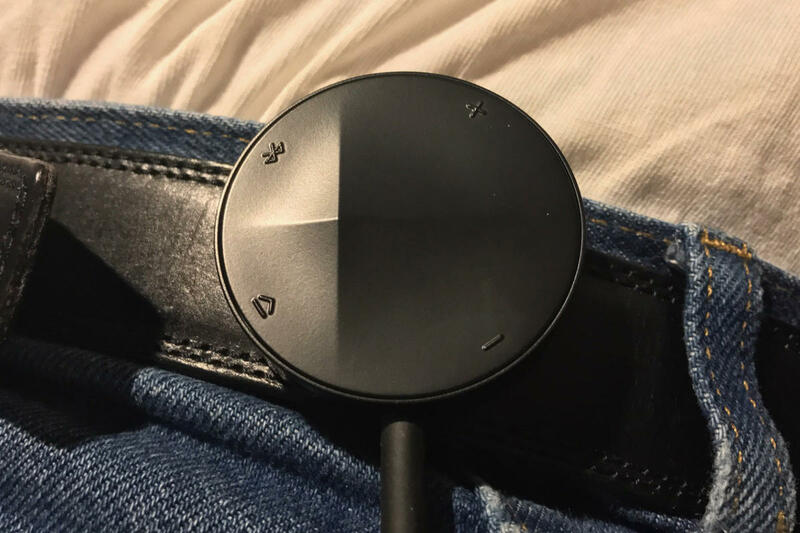 If you wear the AK XB10 on a belt, it will orient your headphone’s 3.5mm jack downward to the six-o’clock position. I can envision some extreme instances where this might cause excessive bend forces on your headphone’s cable or pop the AK XB10 off your belt. A word to the wise: be careful. The AK XB10 holds a little surprise. When connected to a smartphone, it doubles as a hands-free calling device with noise and echo cancelling. Since most audiophile wired headphones do not have a cable with an inline microphone, this is a very smart addition to the mix. In fact, some of the favorites in my headphone collection don’t have cables with inline mics. If you’re listening to music while a call comes in, the music automatically pauses. When your call is over, the music kicks right back in. The Astell&Kern AK XB10 with its optional clip attached. The primary selling point of Astell&Kern’s AK XB10 is its streaming codec support. The DAC can decode SBC, apt X, and, AAC (for iOS devices). But the big news is its support for Qualcomm’s aptX HD. This allows it to play high-res music files—at resolutions up to 24 bits and at sampling rates as high as 48kHz—over Bluetooth. Files beyond 24-bit/48kHz are downsampled. Sources connected to the AK XB10 must also support aptX HD to take advantage of high-res streaming, otherwise, you’ll fall back to a lower resolution. 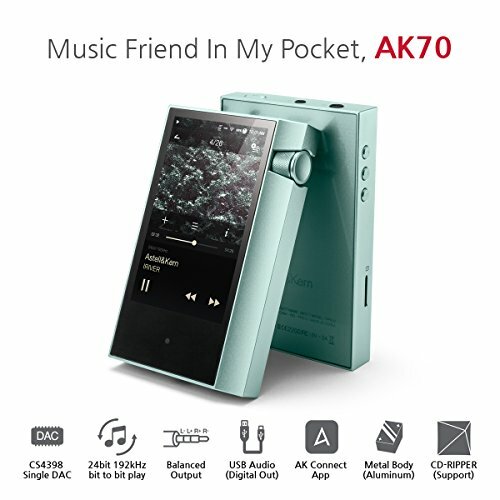 Pairing the AK XB10 with Astell&Kern’s AK70 DAP confirmed an aptX HD wireless connection. 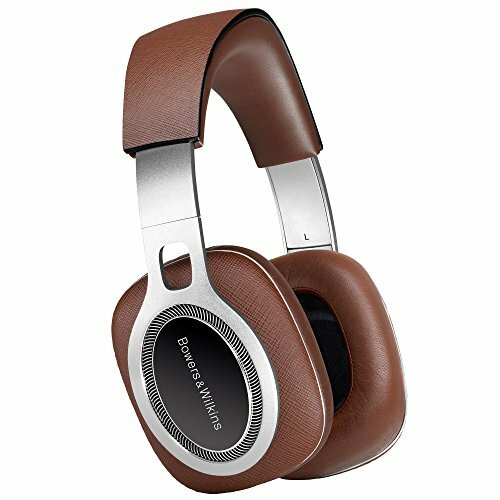 I chose Bowers and Wilkins’ P9 Signature headphones for testing during this review. I paired the AK XB10 with Astell&Kern’s own AK70 high-res digital audio player and an iPhone 7. The AK70 supports both the aptX and aptX HD codecs. 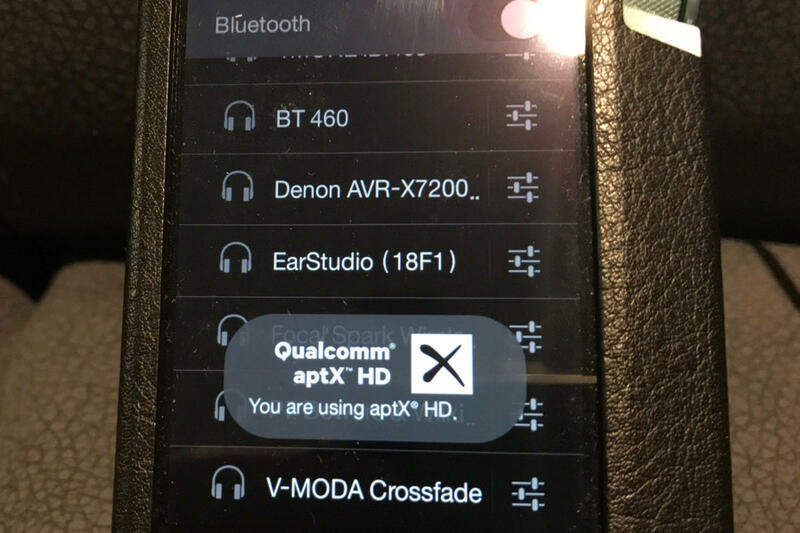 When I paired the AK XB10 via Bluetooth, the AK70 immediately confirmed I was using an aptX HD connection. I could switch between the AK70 and iPhone 7 easily. For example, I started playing a song on the AK70 and then started playing something on the iPhone 7. If I paused the AK70, whatever was playing on the iPhone 7 would kick right in. I fired up many of my stalwart high-res audio files with a special emphasis on recordings from Chesky Records and B&W’s Society of Sound. I played a variety of genres including classical, jazz, rock, and alternative. For me, the proof of any wireless adapter’s quality is how much it gets out of the way and lets the headphone’s character shine through. With this as the measure, the AK XB10 consistently hit high marks. You’ll be hard pressed to discern a significant difference between the wired or wireless connection during casual listening sessions. That’s not to imply wired and wireless connections sound exactly the same. They don’t. On the tracks I used for testing the wired and wireless connections, I noticed fewer pronounced differences on the iPhone and AAC codec and more with the wireless aptX HD connections. The microUSB charging port is located on the unit’s side. With wireless aptX HD connections played through the AK70, I noted that bass lines were elevated and looser via aptX HD than with a wired connection. If you prefer more bass, then you might find this a euphonic signature; depending on the music, you’ll notice it more with some songs than others. On Rebecca Pidgeon’s, “Spanish Harlem,” for example, there’ a subtle elevation present during bass lines. On Hans Zimmer’s “Underground Army” from the Dark Knight Rises soundtrack, however, the bass was far more pronounced. For my part, I felt as though bass and midbass in the wired connection had comparatively more refinement and control and sounded more natural. I also noted that the sound stage sounded slightly deeper and instruments had slightly more air around them with a wired connection. For example, on the 24-bit/88.2kHz FLAC version of Pink Floyd’s “Wish You Were Here,” from the eponymous album, the sound stage was flatter when played through the AK XB10. Your mileage may vary depending on what source device and headphones you use. The AK XB10 makes any headphone wireless. Placing the AK70 in my back right pocket and the AK XB10 into my front left pocket. I tested these exact same scenarios with the iPhone 7 and couldn’t reproduce the anomaly. Therefore, I’m not sure if this is an issue with the AK70, the AK XB10, or using aptX HD specifically. I’ve experienced a similar issue in a past review with an aptX HD device paired with the AK70, so I’m not immediately inclined to blame the AK XB10 as the source of the problem. If your goal is to bestow wireless freedom to your favorite pair of cans, Astell&Kern’s AK XB10 is just the ticket. The AK XB10 lets the sonic beauty of your wired headphones roam free. With AAC and aptX HD support, this pocket-sized delight will stream your favorite tunes in superb fidelity from any device. The only significant downer lies with the AK XB10’s mediocre five-hour battery life. This little device can transform your favorite wired headphones wireless and capable of high-resolution audio streaming thanks to its aptX HD support.